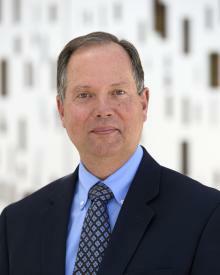 D. Ray Reutzel is Dean of the College of Education at the University of Wyoming. He is formerly the Emma Eccles Jones Distinguished Professor and Endowed Chair of Early Childhood Literacy Education at Utah State University. He is the author of more than 225 refereed research reports, articles, books, book chapters, and monographs in Reading Research Quarterly, Early Childhood Research Quarterly, The Elementary School Journal, The Journal of Educational Research, The Journal of Literacy Research, The Reading Teacher, Language Arts, Literacy Research and Instruction, Pearson Education, Guilford, IRA,Teachers College Press and other national presses. He has received more than 16 million dollars in research/professional development funding from public and private funding sources. He is the past Editor of - Literacy Research and Instruction, and The Reading Teacher. He received the 1999 A.B. Herr Award and the 2013 ALER Laureate Award from the Association of Literacy Educators and Researchers –ALER and served as its President from 2007- 2008. He was presented the John C. Manning Public School Service Award from the International Reading Association in May 2007 and served as a member of the Board of Directors of the International Reading Association from 2007-2010. He served as a member of the Board of Directors for the Literacy Researchers Association (LRA) and continues to serve as Executive Editor of Language and Literacy for the Journal of Educational Research. He is a member of the International Literacy Association's Research Panel and serves as the President of the Reading Hall of Fame from 2017-2019.